In order for household appliances to last longer, you need to take a proper care of them. This also applies to the main character of today’s article – a refrigerator! What rules should be followed when cleaning it up, what tools can help to get rid of the unpleasant smell, that you cannot use to wash the internal and external surfaces, in order not to damage them – these and much more we will describe below. 1. First of all, it is necessary to remove all the food located inside the fridge. By the way, this is an excellent occasion to check out the products and assess their condition, throwing away spoiled and expired ones. 2. Further it is necessarily to unplug the refrigerator. 3. The next step is to take out all the removable parts: shelves, containers, trays, side racks. It is better to immediately bring them to a sink or collect in a bathroom. 4. If there is ice build-up, you need to wait for it to thaw. To accelerate the process a pot or bottles of hot water can be used. 5. You can use this time to wash the refrigerator outside – using a dishwashing detergent, and then a clean wet wipe or cloth to remove any remaining foam. The same must be done with all removable elements, after which they must be thoroughly dried. 6. Before washing the refrigerator after defrosting, it is desirable to treat the ventilation openings in both chambers with a wet cotton swab. Special attention should be paid to the rear wall where the condenser grid is located. It is convenient to clean it by using a vacuum cleaner with a narrow nozzle or brush – this will not only remove the dust, but also reduce the power consumption of the device. 7. For the cleaning the internal surfaces it makes sense to choose a multifunctional agents that can be used inside and outside of the refrigerator helping not only to eliminate the smell, but also providing a disinfecting effect. Vinegar mixed in half with water, or a weak soda solution (1 tablespoon per 1 liter of water) will cope with this task quite well. 8. Vinegar should not get on the seals! The best way is to simply wipe them with a damp sponge or rinse with soapy water. 9. At the final stage it is necessary to work on all surfaces with a cloth soaked in clean water and let the fridge dry, leaving the doors open for 1-1.5 hours. ● sharp objects for scraping ice. 1. The walls of the fridge quickly absorb odors, so it is recommended to wipe them once a week using a dish-washing detergent or vinegar solution. 2. The contamination often accumulates in the corners of shelves and containers – it is important to pay attention to it! The cause may be in leaking liquids, spoiled foods, dirt from poorly packaged or unwashed vegetables, greens or fruits, etc. 3. Special attention should be given to the drain hole and the tray in which water is collected after defrosting. What home remedies can help to remove unpleasant smell? So, we figured out how to wash the refrigerator inside to destroy the smell. But how to maintain it in the same good condition in the future? Each housewife should know that there are means that help to preventively get rid of bad odors, and also remove unpleasant odors from spoiled foods, including persistent ones. • freshly ground coffee or whole coffee beans. It is enough to place them on a saucer or in a jar covered with a lid with holes, and put in the fridge, periodically changing the contents. The unpleasant smell will quickly disappear. Black bread has excellent adsorbing features: cut it into slices and place it on empty shelves for 10 hours, and you will be able to see its effectiveness for yourself. The uncooked rice also has the similar effect. The spicy greens, as well as a number of spices showed good results: basil, celery, tarragon, thyme, turmeric, cinnamon, orange as well as lemon peel. Why on a question, with what means to wash a refrigerator to eliminate the smell, more and more often the “home remedies” are recommended? This is due to the fact that most cleaning agents contain chemical compounds, which most housewives refuse to use in places of food storage. And it is right! Because you can achieve an excellent effect, using completely safe means! 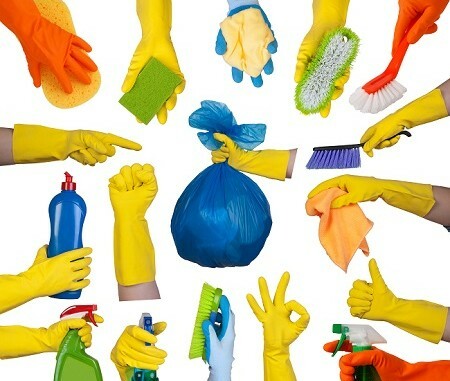 To save your own time and health, entrust the cleanliness to professionals! Maria Housecleaning Company will take care of your refrigerator with the help of professional ecological means!